Did you know there is a HUGE difference between a so called certified installer and a ticketed/red seal journeyman roofer? One requires years of hard work, schooling and an apprenticeship with 1000’s of hours on the tools and in the classroom. For the most part, the other requires a short test, after a ONE DAY classroom session, to anyone who called themselves a roofer. The thing to remember is these certifications are given out by the manufacturer and hold no merit or basis beyond that point. It gets even crazier… In the past, I have been offered the answer key to the multiple choice test, for these so called certifications from certain roofing suppliers. In other words, I have personally been offered the answers to the test, BEFORE the test even began. Many other roofers in this business have told me the same. The reasons for this will be explained below. Let me explain the difference between the “certification” and a ticket, in more detail, so that you don’t get tricked into thinking that one is as good as the other. To put this into perspective let me ask you this: Lets say you needed an electrical company to come into your home and install a new 200amp breaker panel and rewire your whole house. Would you pick some guy that has a piece of paper from some random electrical store/manufacturer saying that he was good at what he did? Or would you choose a licensed, ticketed electrician that could pull the proper permits, do all of the work to code? Someone who had gone through an apprenticeship, done the schooling and had a ticket in hand to prove it all?! I know for a fact that if you don’t have the proper licensed electricians pulling the proper permits etc, your house will not be covered by insurance, if something were to happen. Seems like a no brainer on which one to choose, right? Well, this is EXACTLY what is happening in the roofing trade today. Let’s start with the wording to look out for like “Certified Installer”. This can be called many things but it usually always has the word (certified, master, or elite) in it somewhere. As I’ve said, these certifications come directly from the manufacturer and are worded in such a way to sound important and authoritative, but in reality, they are a fancy way of trying to give clout to anyone who decided to buy from them. Sometimes, but not always, the manufacturer may ask you to sit in for a classroom session before you take their test. That’s right, one whole 8hr day! Not to say that they are bad, but they are extremely basic and given to anyone who wants to pump that product. When I say them, I mean from that particular manufacturer. You may ask, why would a manufacturer do that and what benefit is it to them? The biggest motivation is simple… money! If, for example, “Joe’s roofing” gets a “certification” from a specific manufacturer, then Joe is going to look better and be able to sell more roofs to customers like you because he will tell you he’s certified! Wow, that sounds great, right?! The more people Joe tells, the more roofs he will likely get and the more product he will have to buy, from that said manufacturer, making them more and more money! This is EXACTLY how it all works. We’ve been in the roofing business for 41 yrs and we’ve seen it all! Also, it’s important to note that, in most cases, there is little to no vetting of potential roofing companies that can apply for those types of statuses. Making anyone, who is willing to sit in a classroom for one day, certified! Now, on the other hand, you the have red seal journeyman roofers and/or the ticketed flat/slope roofers. These guys are the “all in” type. They’ve done things the right way! They’ve done it in the way that most other blue collars trades demand of their fellow tradesmen. They have gone to school, gone through a 4yr apprenticeship program, under another ticketed roofer/company, and have earned that coveted ticket. In fact, the term of apprenticeship for a roofer is 4 years (four 12-month periods) including a minimum of 1420 hours of on-the-job training and 6 weeks of technical training in each of the first three years, and a minimum of 1600 hours of on-the-job training in the fourth year. As you can see, the difference “certified” and ticketed, is night and day. So, as a homeowner, what can you do to be sure you are getting your roofing quotes from a ticketed company? The answer is simple, just ask them! If the company CANNOT provide you with proof that they are ticketed, that is because they ARE NOT ticketed. 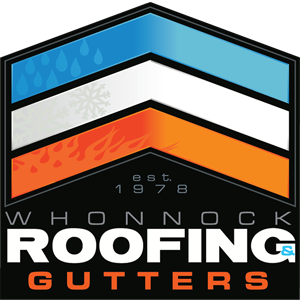 Here at Whonnock Roofing and Gutters Ltd, if you ask us for a quote and want to see our ticket, we’ll show you right away and even before we do your estimate with no questions asked. In fact, we hope you do! My belief is that, while there are some good roofers out there without the paperwork to back them, there are also a lot of bad ones, so why take the chance? Having the roofing companies that are quoting on your roof provide proof gives you as the customer, piece of mind, knowing that they are getting a good job by a real professional. Let me leave you with this thought… When giving our estimates, we quite often hear the homeowner say that they’re “trying to gather up the roofing estimates and do their homework”. My brother always replies with the same line and that is this: “Good because the more homework you do, the better we will look!” I think my brother is right and I hope you do too! We accept most payment methods.